Samsung's brand took a beating over the past months as reports of exploding Galaxy Note7 smartphones made headlines and the company desperately did damage duty. In the enterprise, however, CIOs and IT leaders say Samsung has earned a second chance. Samsung's flagship Galaxy Note7 smartphone could have been a game-changer, with its cutting edge tech and top of the line specs. Many early reviews suggested it was the best phone Samsung ever released. 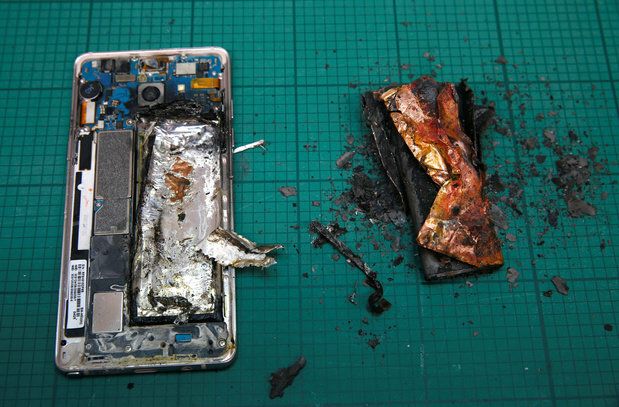 Then came the reports of battery fires, explosions and related injuries, recalls, exchanges, lawsuits and the eventually discontinuation of the latest entry in one of Samsung's most popular smartphone lines. The ultimate fallout from such a high-profile, global product recall will likely take months, maybe even years, to accurately gauge. 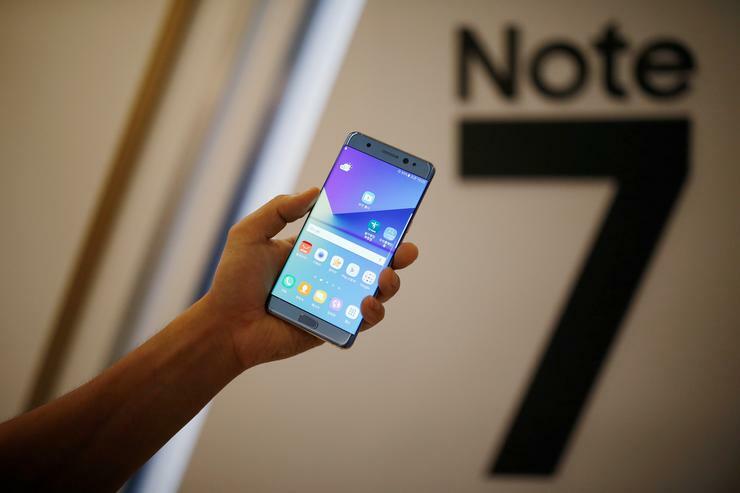 But a set of CIOs and technology leaders don't believe the Note7 debacle will negate much, if any, of the progress Samsung made in the business world during the past years — assuming it swiftly and efficiently manages the crisis. The Note7 may have quite literally turned into a flaming failure, but Samsung has a proven track record of success in the smartphone world. Its Galaxy S6, for example, was the "world's top selling smartphone" during the first half of 2016, according to research firm Strategy Analytics. Samsung received the No. 1 satisfaction rating among AT&T customers in J.D. Power's "2016 U.S. Wireless Smartphone Satisfaction Study," and it placed just slightly behind Apple on Sprint, T-Mobile and Verizon Wireless. "I happen to be a big Samsung fan, so it's disappointing to see any company roll out a major release and then get that type of media scrutiny," says Ted Ross, general manager and CIO for the City of Los Angeles IT Agency. “[Samsung is] ia really strong company that has gotten itself into some trouble with one specific product," says Reed A. Sheard, vice president for college advancement and CIO of Westmont College in Santa Barbara, Calif. "Probably it's a component in that product, not something to do with the design. Tuong Nguyen, a principle research analyst with Gartner, echoes Sheard's sentiment and suggests the Note7 recall isn't representative of Samsung's history in the smartphone market. "Samsung's made a lot of phones, for quite some time, years and years," Nguyen says. "This seems like a bit of a blip on the radar. It's not exactly indicative of the quality of performance of their devices." Enterprises also don't often roll out brand new, expensive flagship phones to large groups of users without testing, so the Note7 recall shouldn't tax very many IT departments, at least in the short term, according Nguyen. "[The Note7] is quite new. I don't know if there's any immediate impact." A Samsung Note7 is pictured next to its charred battery after catching fire during a test. CIOs and other IT leaders won't likely have to physically remove many Note7s from their workforces, and the recall might not have much of an immediate impact. However, they'll certainly be watching Samsung closely to see how the company handles the damage control. "[Samsung] got off to a rough start by not responding to it right away," Sheard says. "It is a misstep of gargantuan proportions. They've got to figure out how to manage their way through." Sheard says the company must communicate more effectively with consumers and enterprises, and be forthright and upfront about any new developments or complications. CIOs will want to feel like they have all the relevant facts and information, according to Moorhead. "They're going to want a 10-page report from Samsung on the why, what, when, where, how." Samsung must be "more transparent than they've ever been on anything," Moorhead says. If Samsung is open and honest, it stands to come away from the situation relatively unscathed in the business world. "I don't think this will have a lasting effect on enterprise [perceptions of Samsung]," Moorhead says. Late last week, Samsung's mobile chief Koh Dong-jin vowed to restore consumer confidence following the Note7 recall at a press conference in Korea. The company did not specify how it plans to address potential enterprise concerns, but a Samsung spokesperson told CIO.com that it is working directly with business customers on the recall. "Working in partnership with the CPSC [U.S. Consumer Product Safety Commission], carriers and retailers, Samsung is maximizing its reach to Note7 owners through multiple touchpoints, including direct communications to enterprise customers to ensure they understand their options and participate in the U.S. Note7 Exchange Program," the spokesperson said. 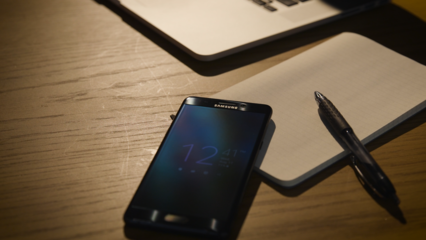 The Note7 recall offers insightful takeaways for CIOs and project managers. The events spotlight potential pitfalls around ineffective quality assurance and the temptation to rush to market, according to Ross. "It reminds me as a CIO of the importance of thorough, complete and comprehensive testing," he says. "We want to be fast. We want to talk about failing fast, but it's best to fail during a testing phase than it is once the products are already out." John DiCamillo, CTO of Arup, an engineering and design consultancy, says the recall made him rethink his organization's corporate mobile phone use policies, with a focus on liabilities related to injury or damage caused by faulty tech devices. "I do not believe many firms have thought of their liability if a firm-issued device caught fire and possibly damaged personal property, or caused an injury or death," DiCamillo says. "IT will need to seek guidance with their legal teams and impose more thorough testing of new devices." Westmont College's Sheard draws a parallel between Samsung's aggressive product release strategy and the Note7 recall, and Apple's more conservative iPhone release and its comparatively more successful launch. For example, some critics called the new iPhone 7 "underwhelming," while others lauded the Note7 for its top-of-the-line specifications and brand new tech, including a futuristic iris scanner. However, this very lack of "iPhone wow factor" proved to work for Apple. "The conservative approach that Apple took 'won,' and the more aggressive approach that Samsung took 'lost.'" Sheard says. "My job [as a CIO] is to understand what's happening in the industry, translate that back to my institution and then bring on new projects that hold potential to change paradigms and give the college an advantage. That's a very aggressive, fluid job and responsibility, but to execute against that is actually very conservative." Samsung's "ideas got, perhaps, a little too far out from its ability to execute, and that is something I'm definitely going to be more sensitized to, to make sure I don't get overly aggressive and then do harm to the organization I'm trying to serve," Sheard says.